In an age where science attempts to explain everything, it can feel like the world has run out of mysteries. In reality, we still struggle to rationalize many aspects of life. 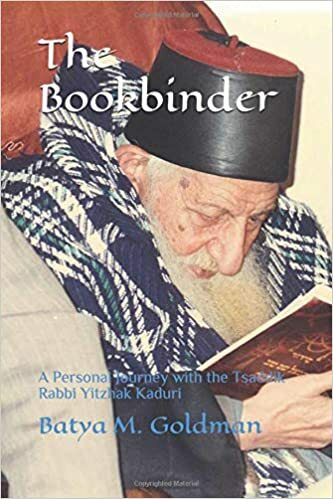 Batya M. Goldman’s memoir, The Bookbinder: A Personal Journey with the Tsaddik Rabbi Yitzhak Kaduri sheds light on one such mystery. The book follows Goldman’s family as they move to Israel, try to raise a family, battle illness, and start their own business. All of these endeavors keep connecting to the famous (although highly secretive) Rabbi Kaduri: a physical as well as spiritual bookbinder. 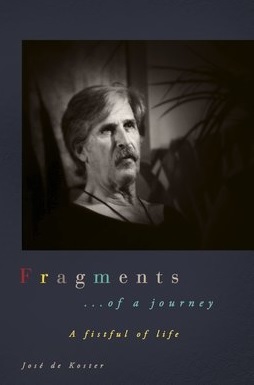 Much of the memoir focuses on Goldman’s family life in Israel. But she clearly shares these stories in an attempt to fill a void left by a humble man who did his work without concern for his lasting legacy. This old soul helped guide Israel and its people through many decades. And the insight into his methods, perhaps being written down for the first time, is fascinating. Still, there is no doubt that Goldman wrote this book for an audience familiar with Orthodox Judaism. That’s not to say that there’s nothing here for readers from different backgrounds. The stories are layered with journeys and returns between Israel and the United States. It’s also a moving portrayal of a young mother in a new land with a traveling husband dealing with chronic health problems. In these sections, Goldman praises the community she discovered in Israel. Relative strangers, linked by connections to Rabbi Kaduri, take care of one another. Accounts of miracles and visions from deceased loved ones also pepper the account. These always seem to be presented in a straightforward, matter of fact way. In doing so, the memoir has an honesty to it that those who don’t prescribe to the Jewish faith should appreciate, but will probably be confused by. Ultimately, Goldman delivers a sincere account of a life both vastly different and surprisingly similar to that of the average reader. The specifics of her memoir will likely appeal to those already familiar with, or interested in learning, Orthodox Judaism or Israeli culture. Posted on December 18, 2018, in Book Reviews, Four Stars and tagged A Personal Journey, alibris, author, author life, authors, barnes and noble, Batya Goldman, biography, book, book club, book geek, book lover, bookaholic, bookbaby, bookblogger, bookbub, bookhaul, bookhub, bookish, bookreads, books of instagram, booksbooksbooks, bookshelf, bookstagram, bookstagramer, bookwitty, bookworks, bookworm, culture, ebook, faith, family, goodreads, ilovebooks, indiebooks, israel, Judaism, kindle, kobo, literature, memoir, nook, novel, publishing, Rabbi, read, reader, reading, religion, shelfari, smashwords, story, The Bookbinder, Tsaddik, writer, writer community, writing, Yitzhak Kaduri. Bookmark the permalink. Leave a comment.